Working towards a world Beyond Acceptance with No Discrimination, The BAND Group debuts with a delightfully modern adaptation of Moliere's most famous comedy Tartuffe, set in a drag club. Similar to The Misanthrope a few years ago, founder-director-adapter Adrian Lopez-Balbontin has taken this 350 year old French comedy, made it look like the world today, peppered it with pop culture references, used it as commentary on current issues, and set it all to rhyme. With a talented cast of artists from across the gender spectrum whom we don't get to see onstage often enough, and a partnership with local non-profit RECLAIM! 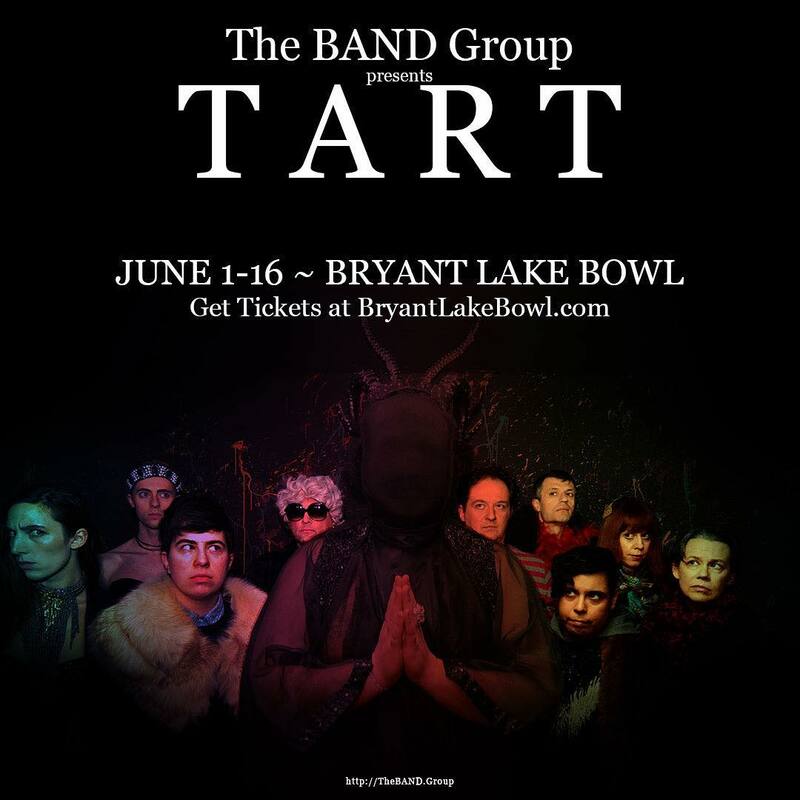 that provides mental health support for queer and trans youth, TART is as relevant as it is entertaining. Check it out at BLB (with full food and drink service before and during the show) through June 16. 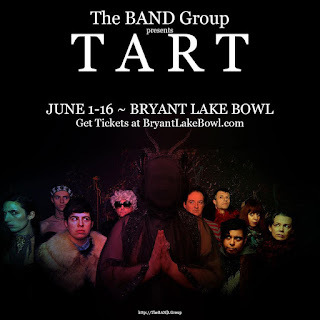 I'm not sure I could describe the show better than The BAND Group does: "TART is a shockingly funny yet serious examination of hypocrisy in all its forms and a parable on the dangers of externalized and internalized oppression; all within a dazzling package of slapstick comedy, rhyming couplets, and drag numbers." In Moliere's original, Tartuffe was a religious hypocrite, who claimed to be pious as he criticized those who were not, while in reality he was pretty much a scumbag. The play was actually banned in its time for calling out the hypocrisy of religion. Even though this play was written 350 years ago, we still have Tartuffes in the world, people who, for example, claim offense at the use of a particular world even though they've been know to use said word themselves, and much worse. So yes, this play still has plenty of relevance, and was a smart choice with a clever adaptation by The BAND Group. Our Orgon here is the proprietor of a drag club, who has fallen under the spell of Tartuffe, who tsk tsks the performances that are interspersed with scenes that take place backstage at the club. Orgon's daughter Mariane is in love with the gender fluid Val, but Orgon wants her to marry the "real man" Tartuffe. Meanwhile, Tartuffe is actually in love with Orgon's wife Elmire (think La Cage aux Folles), proving him to be a homophobic closeted gay man. Orgon's friends and family plan to trap Tartuffe and eventually succeed in proving him false. But it's too late, for Orgon has already signed over ownership of the club to Tartuffe, who plans to close it, until the intervention of a dues ex machina (or in this case a cop ex machina). The hypocrite is exposed, and the happy beautiful drag club gets to continue to celebrate life and individuality! Everyone in the ten-person cast (Courtney Stirn, Dan Britt, James Satter, Jex Arzayus, Kevin McLaughlin, Kjer Whiting, Nolan Henningson, Parker Sera, Sabrina Crews, and Todd O’Dowd) is really fun to watch, handles the rhyming dialogue well, and brings their own unique identity to the story in a celebration of all life. The drag performances are fun too, and if you tip the performers they money goes to RECLAIM!. Part classic theater, part drag show, part social commentary, and all around fun! Continuing at Bryant Lake Bowl in Uptown through June 16.